Yesterday, the members of the European Parliament’s Civil Liberties Committee (LIBE) did the right thing and voted down the Commission’s proposal to impose upload filters on online platforms. The LIBE opinion, which was drafted by Polish EPP MEP Michał Boni and adopted with a clear majority of 36 votes for and just 5 against, dismantles the most problematic aspects of Article 13 of the Commission’s proposal: the members of the LIBE committee voted to remove the obligation for online platforms to use automated content recognition technologies to filter all user uploads in order to prevent users of these platforms from sharing copyrighted materials without permission from rights holders. The opinion also proposes strengthening user’s ability to contest the takedown of works they’ve uploaded. Members of Parliament are recognizing the dangers upload filters pose to freedom of expresion..
LIBE is now the second committee of the European Parliament that is calling for a halt to the automated content filtering plans proposed by the Commission. Back in July the Internal Market and Consumer Protection Committee (IMCO) adopted the same amendments that were adopted yesterday by LIBE. While both committees will be at the table when the leading JURI committee discusses these plans, it is far from certain that the Committee on Legal Affairs will follow the line established by them. Outside of the European Parliament the LIBE vote also sends a strong signal to the Member States who are discussing this issue in parallel. The Estonian presidency has proposed a new compromise text on article 13 that will be discussed among the member states later this week. The language proposed by the Estonian proposal significantly overhauls the Commission’s proposal, but that new coat of paint cannot hide the fact that it still tries to force online platforms to implement automated content filtering technologies. It does so by creating a parallel liability regime for “Online Content Sharing Service Providers” (OCSSPs) that strongly incentivises them to employ technological measures that “prevent the availability on [their] services of unauthorised works or other subject-matter identified by rightholders”. Or put into plain language: OCSSPs need to employ content filtering technology or they are liable for copyright infringements of their users (which is a risk that no platform operator will be willing to take on). What the Member States fail to understand (and what the members of both LIBE and IMCO seem to have gasped) is that open online platforms are much more than just convenient content distribution platforms for big rightsholders: they are the space where an increasingly diverse field of creators and consumers meet each other to explore, create, remix and discover culture. Requiring these platforms to behave in accordance to the perceived needs of big rights holders, as laid down in the Commission’s proposal or the new Council text will kill off what makes these platforms special and misunderstands their importance to contemporary cultural production. Member States must understand that by following the demands of rightsholders they are risking to put online platforms into a straightjacket that robs them of all the aspects that make them unique. 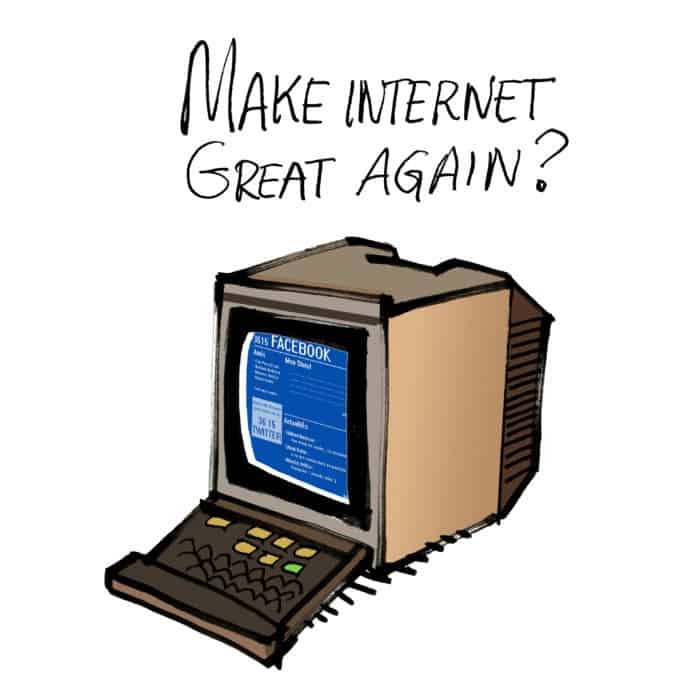 Apart from the legacy intermediaries who mourn the time when they were in full control of the distribution mechanisms for culture, no one wants to turn the internet into a lame copy the broadcast mediums that shaped how we could access and interact with culture during the second half of the 20th century (the internet is more than a high resolution version of the glorious minitel). This entry was posted in EU policy and tagged article 13, copyright, copyright reform, digital single market, EU Council, eu-policy, European Parliament, fixcopyright, LIBE, upload filters, user generated content, users rights. Bookmark the permalink.